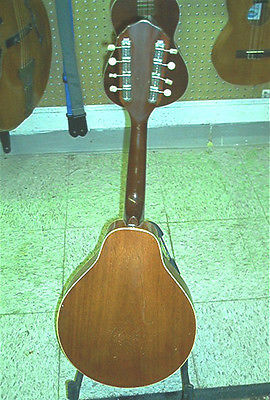 1950’s Kay A-Style Mandolin Solid Spruce Top, Mahogany Back & Sides. 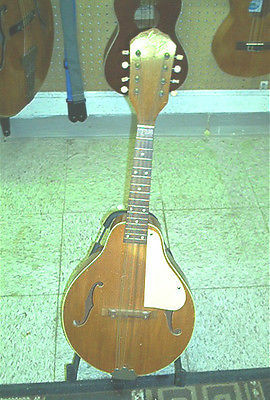 1950’s Kay A-Style Mandolin. Solid Spruce Top, Laminated Mahogany Back And Sides, Mahogany Neck, Rosewood Fingerboard, Adjustable Archtop Bridge, Kluson Strip Keys(one bent). Small Separation at Neck Joint. Good String Action, Straight Neck. Tuner Buttons are Starting to Get Brittle.